Weighty Matters: Domino's thinks 2oz of pizza is a serving!? Many thanks to eagle eyed blog reader and tweeter Kristen Schlag who spotted some discrepancies over at Dominos regarding their new line of "artisan" pizzas. 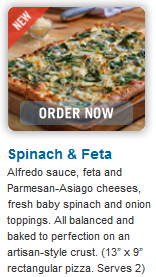 Well according to their hover over and menu based descriptions, these pizzas "Serve 2". 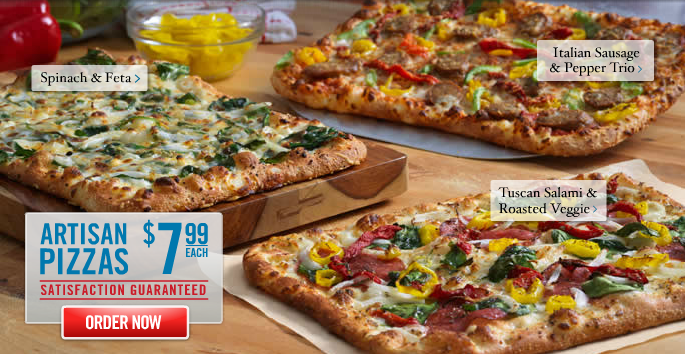 Personally, when looking at the photo of the pizzas as a whole I'd argue that a 2 person serving, in the real world, ain't gonna happen, and that most certainly these $7.99 pizzas are designed and expected to serve just one. But here's the neat trick part. 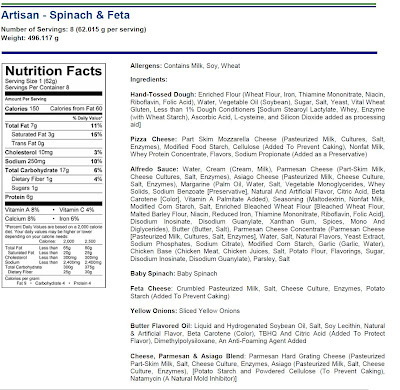 Looking at the nutritional information page for the pizzas you'll learn that according to Dominos per artisan pizza there are eight servings - with the Artisan Spinach and Feta pizza, each of those servings is listed as just 62g (2oz). 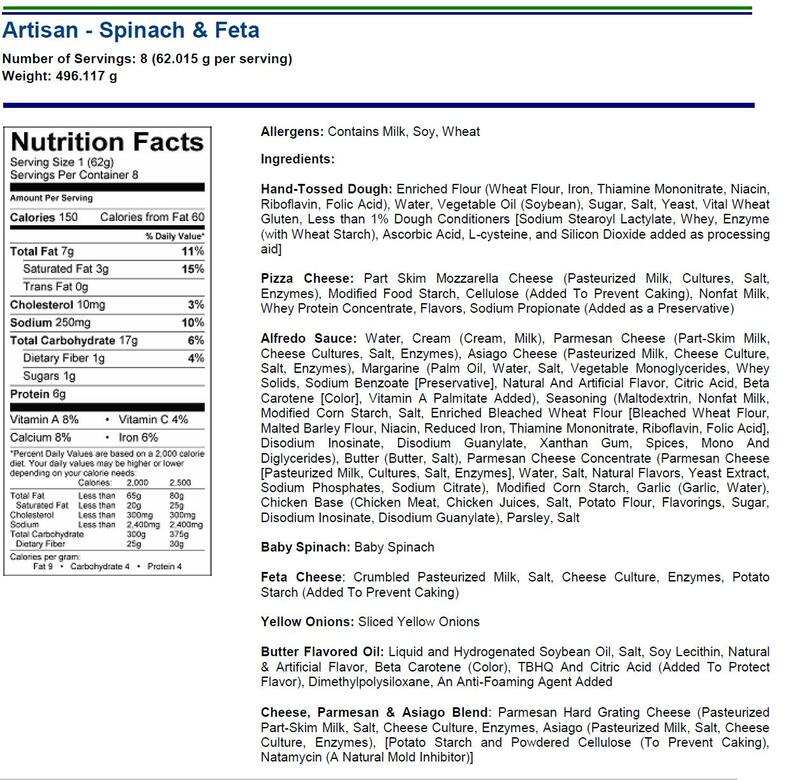 If Dominos were even remotely interested in doing right by their customers, these pizzas' nutritional information would be listed per pizza. So I'll help them out.